Looks awesome. What kinda grey you thinking? White would make um pop. I'd be worried about tryn to match the color myself. Wouldn't be close enough. Just like primer... on the lighter side. The grey could look good cuz its halfway between the subframe color and the steel blue mica. Good point on the color matching. 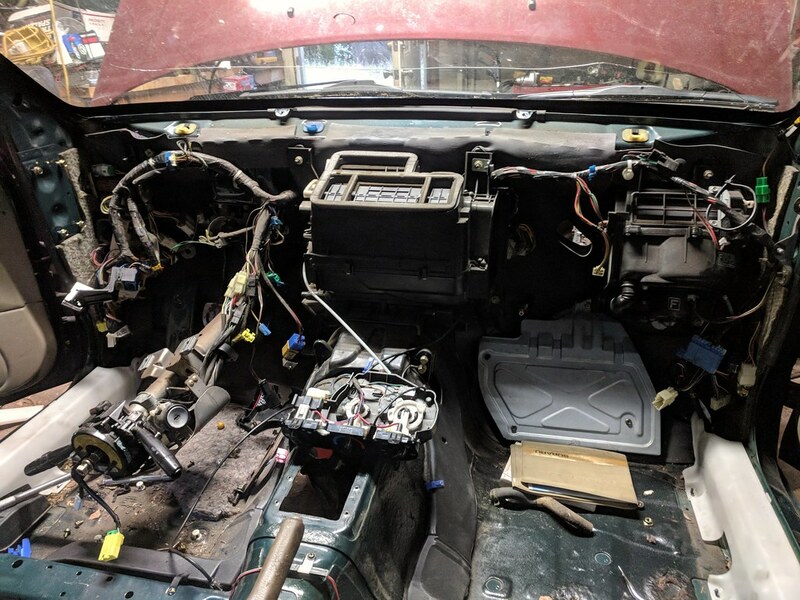 Dash bar out, just gotta pull the heater core and I can get the wire harness out and then the engine bay should be good to start prepping. 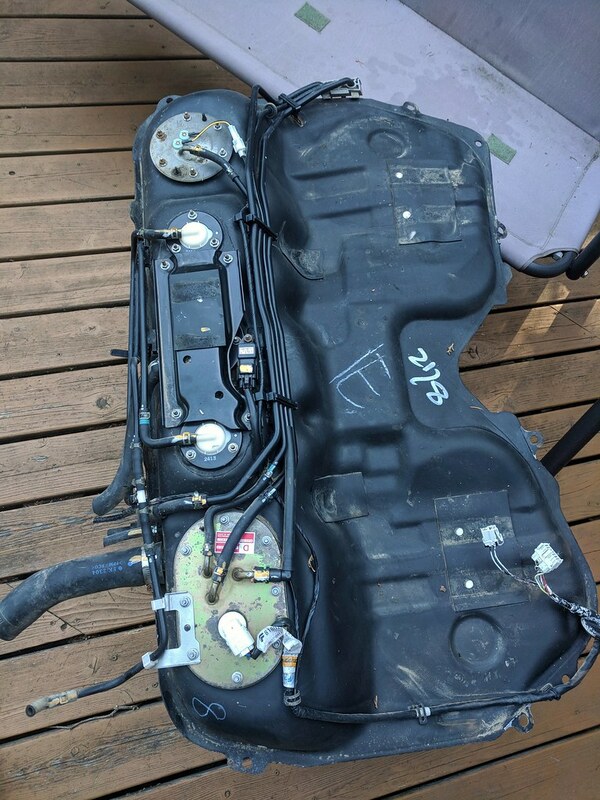 Does the fuse box come out from inside the engine bay or do I have to disconnect the connectors and go back through the fender? 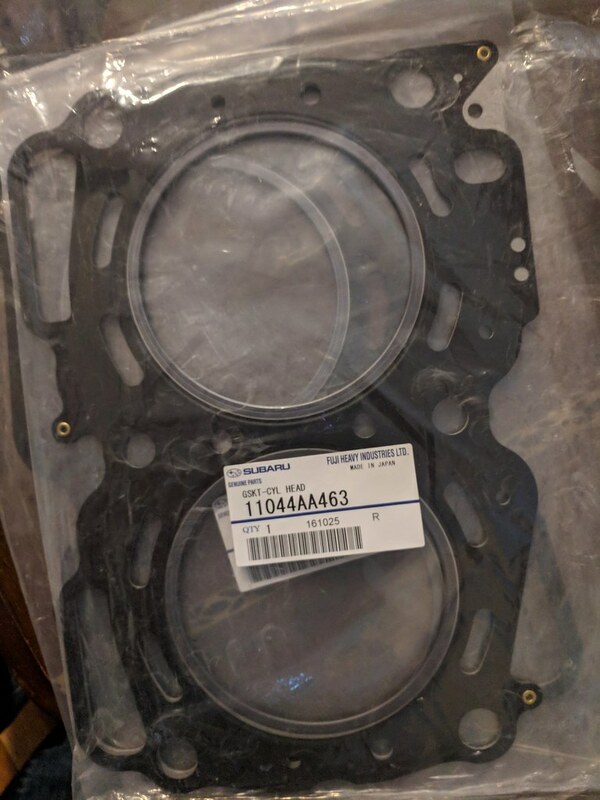 Also my 1.2mm MLS headgaskets and Viton valves showed up! Gotta start getting that ej20g ready! Last edited by NemeGuero; 07-24-2018 at 09:51 AM.. I was looking at your pics. thought, wonder what way the fuse box goes out. Then, read you've got the same question. Ha. Looks good man. Keep it up. thanks man, I'm getting motivated since I'm almost at the - putting things back on the car - phase. 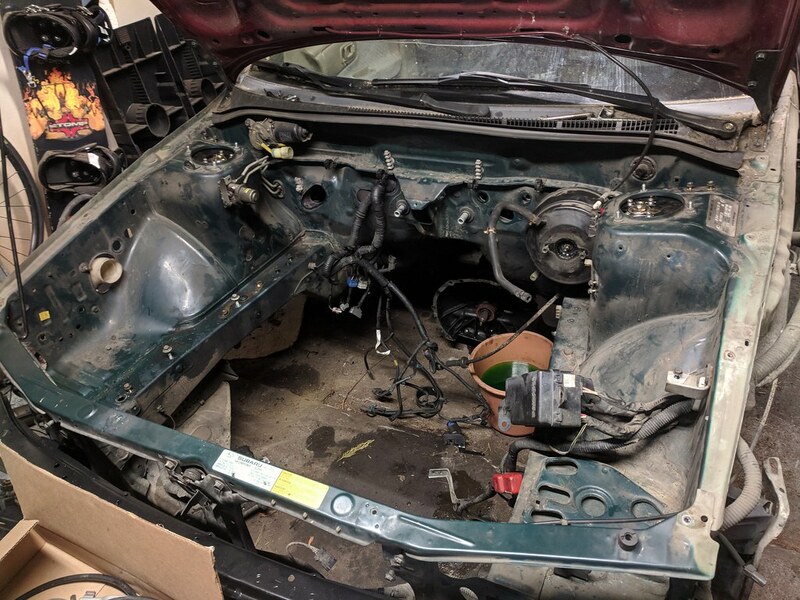 Since i have the fenders off I think pulling the box up and connectors through might be the easiest way. I'll let ya know. rest of the bay stuff removed! 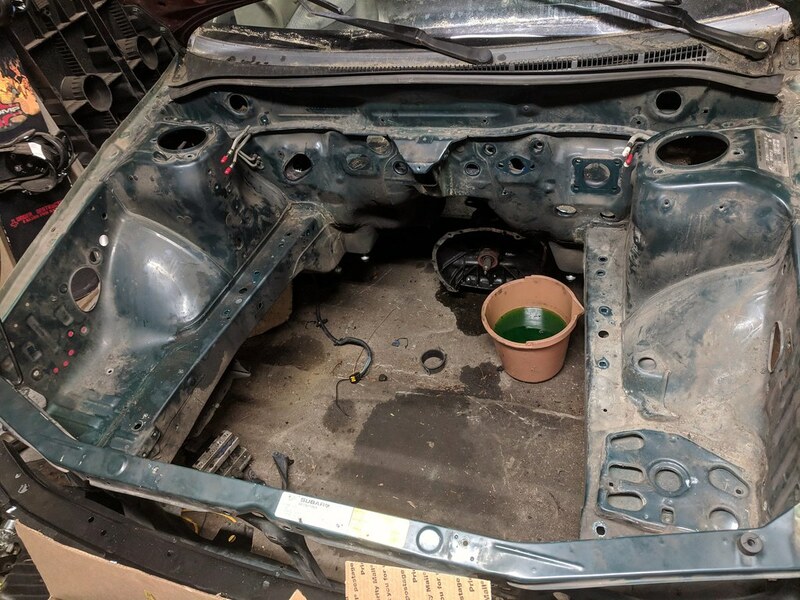 Yes the fuse box came out easiest for me up through the engine bay. 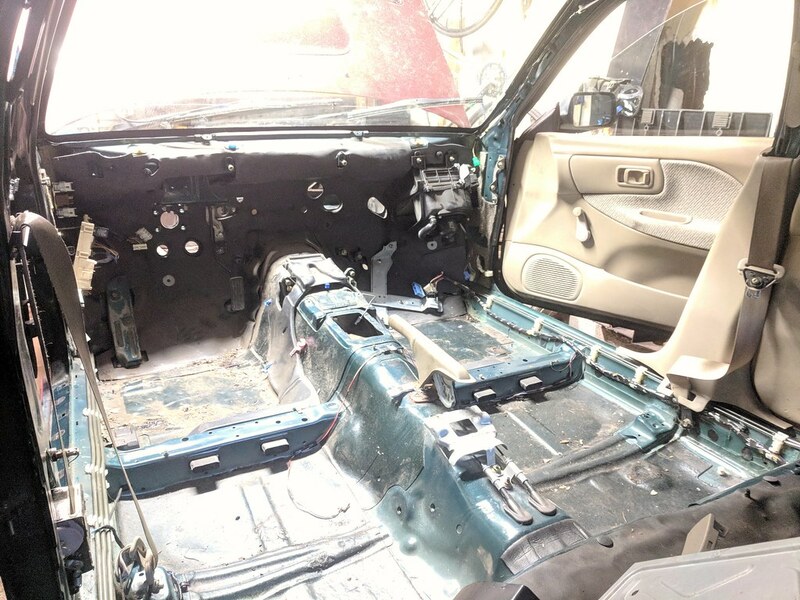 But you need to remove the hood latch cable with it and unplug some stuff under the dash at the internal fuse box and also remove the part that connects along the bottom of the radiator support. Takes a bit of finesse to get it through the triangle cutout but it fits. wire harness out, pedals out, everything out. 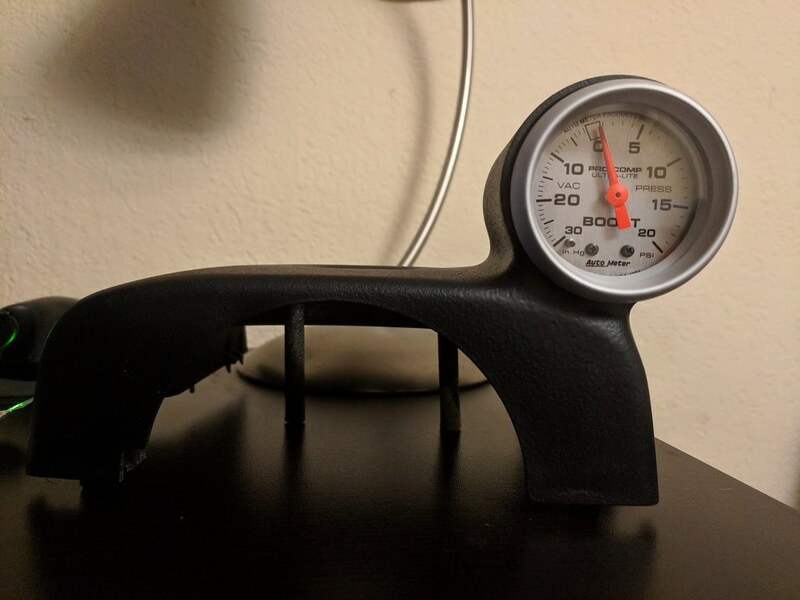 should almost max this gauge out. single stage booster or dual? single booster. better pedal feel. the dual will give you a softish pedal, and when you leep pushing it firms up. cable clutch. simple. one part. you dont have a master, slave, lines.. bleeding, all that can fail. making my car is cable and it lasted over 300k. however.. if youre planning some HD-wise.. cable wont last and won't be able to hold when you push the clutch in.